The land for this project became available to the housing association when the existing garage courts were identified by the local authority as being underused. The site sits within an existing rural post war housing estate on the edge of the village of Charlwood and the immediate context is made up mainly of non-descript brick bungalows with farm fields beyond. The primary concept for the scheme is based around a re-imagining of a rural terrace of homes using local vernacular forms and materials. The scheme provides full disabled access to one of the units with the other units meeting Lifetime Homes Standards. 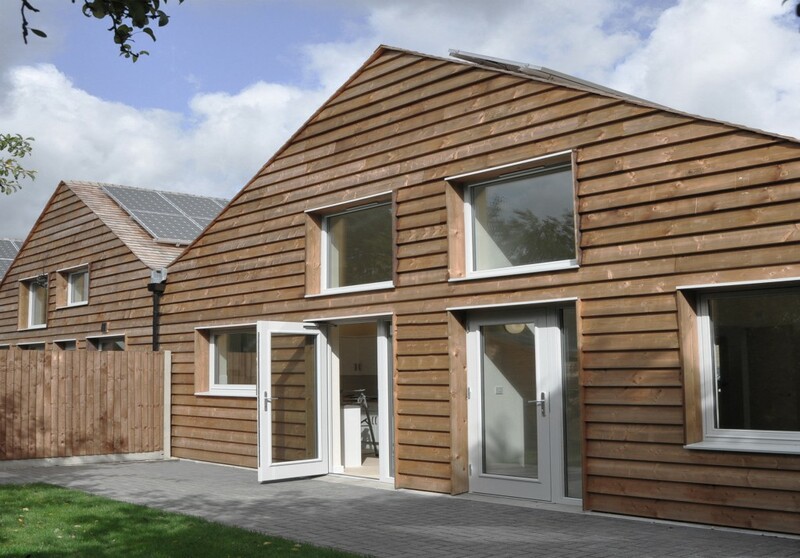 It also seeks to reduce carbon emissions as much as possible using the PassivHaus ideas in construction design. 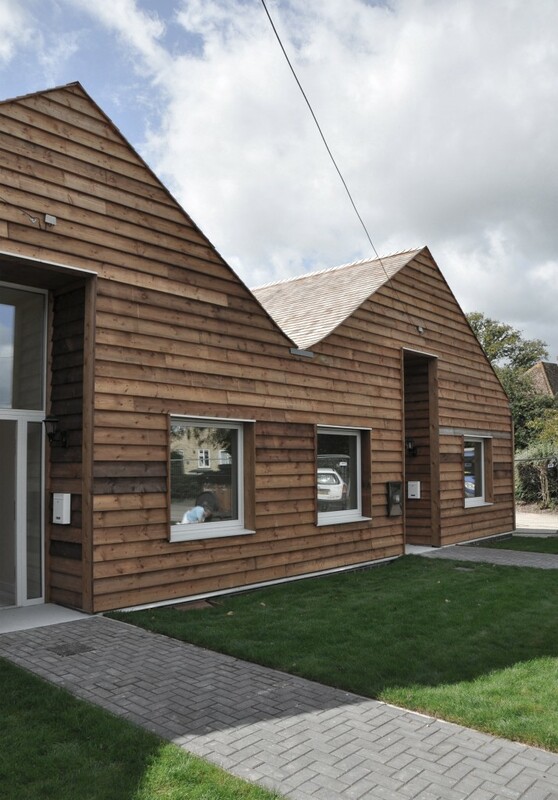 The homes are designed as Code Level 4 under the ‘Code for Sustainable Homes’ classification.